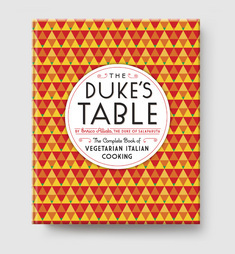 First published in 1930, The Duke’s Table is a massive compendium of vegetarian recipes from Italy and throughout the Mediterranean. 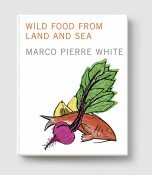 The brainchild of Enrico Alliata, the Duke of Salaparuta, a utopian gourmand and winemaker, the book contains 1,030 recipes. Though much Italian fare is organically vegetarian, Alliata worked for decades to systematically re-imagine classic Italian dishes without using meat, creating a timeless encyclopedic reference work for vegetarians. Alliata, who wrote against the “dietary orthodoxy of the day,” was a vocal advocate for a vegetarian diet, which he believed, much in advance of early dietitians, led to a longer, healthier life. Much like The Silver Spoon (first published in Italy in 1950, and in the U.S. in 2005), the book is unique in its scope and scale: its recipes are imaginative, playful and healthy—and all designed for family-style serving. 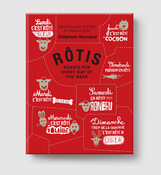 Can a typeface make you hungry?